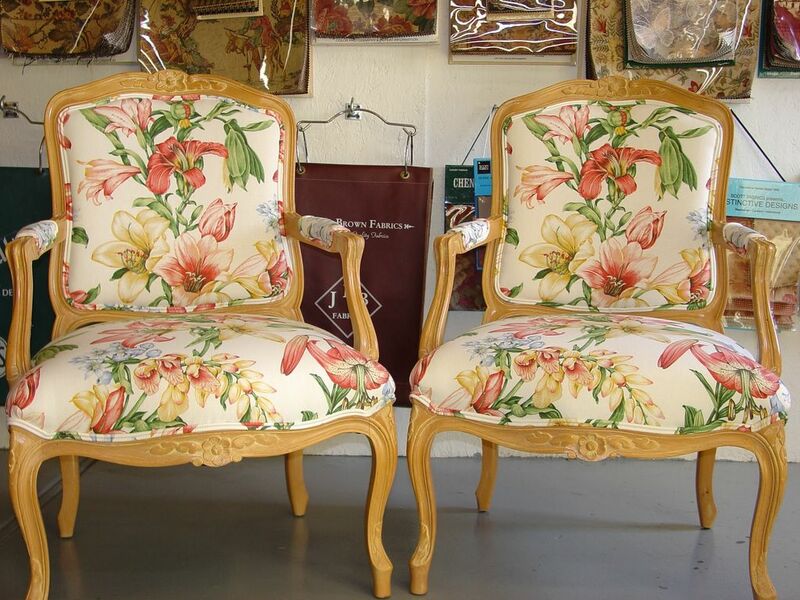 Howard's Upholstery: We Pride Ourselves On Quality Workmanship! - BETTER THAN NEW! We Pride Ourselves On Quality Workmanship! - BETTER THAN NEW! These two chairs were complete rebuilds. When they came to me, the springs were literally hanging out the bottom. All the old fabric, webbing, springs and padding were removed and thrown away. Starting with only the frames, the woodwork was professionally repaired, new springs were installed, new paddings shaped / installed and finally reupholstered with this beautiful new fabric. The customer was thrilled. The price with $35/yard fabric came out to $318 per chair. BETTER than new!